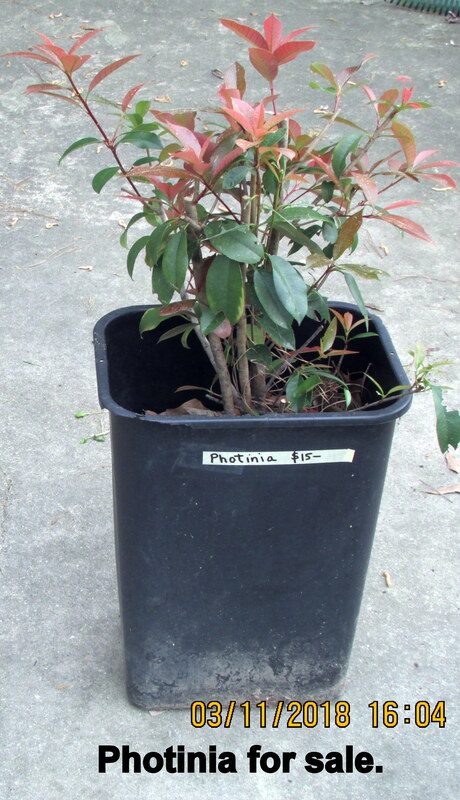 Photinia plant looking for a new home !! This is earlier blog message. 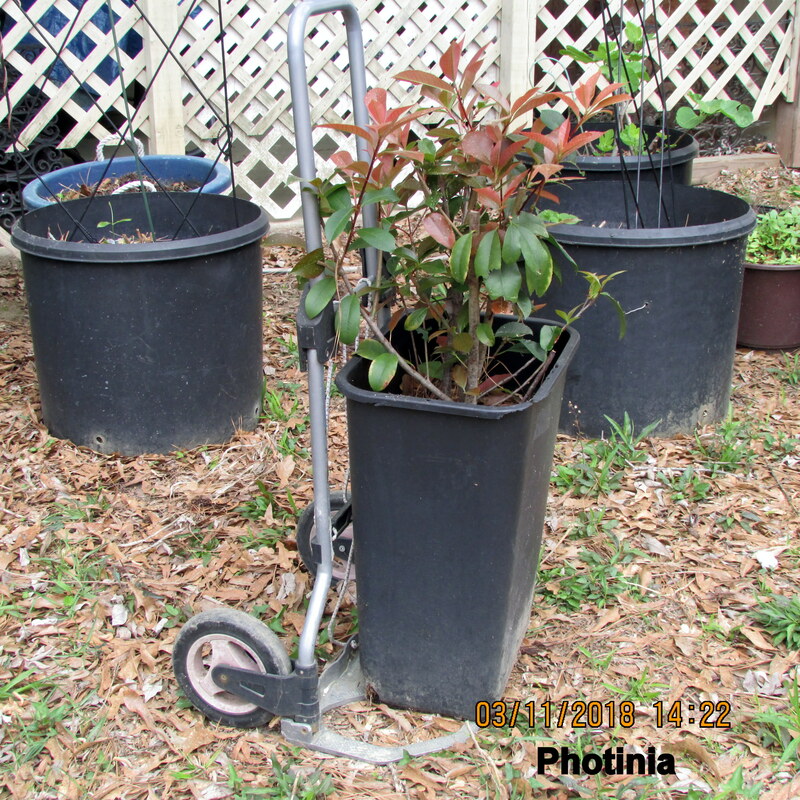 The plant survived the hard freeze and will be included in the yard sale. Today, a few rain sprinkles prompted me to work under the carport pricing items for the upcoming “yard” yard sale. ~~ Another Rainbow’s End resident stopped by to caution me regarding the movement of numerous venomous snakes* and warned me to be extremely careful. Other residents stopped by to visit and watch the birds. I welcome visitors (lol) because I can stop and rest for a few minutes!! * Copperhead, Water Moccasin, & Rattlesnake.